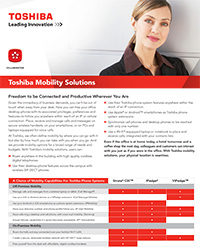 Free your office phone with new mobility applications by Toshiba. Toshiba IP phone systems will help your business enhance productivity and increase efficiency with our integrated mobile enterprise solutions. We provide many types of mobility endpoints for a broad range of needs and budgets. Use smartphones and tablets as an extension of your business desktop phone, with full functionality. 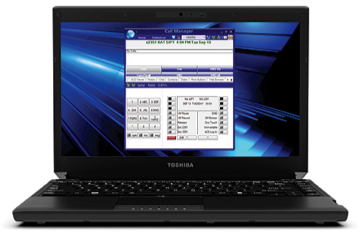 Use your Toshiba phone system features anywhere wifi/IP connection is available. Provide clients with one phone number that can reach you on any device. Talk anywhere in the office with high-quality cordless phones. Use desktop phone features throughout your building- and even across campus- with wireless SIP IP phones. Manage calls directly from your computer using only your computer mouse. 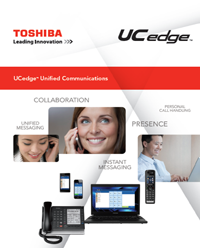 Toshiba’s UCedge™ Unified Communications application for Apple iOS and Android devices enables your smartphone, tablet or laptop to act as your business extension; receiving full desktop functionality on up to three devices simultaneously. Use your smartphone to call through your host business phone system-ex- VIPedge solution, which keeps your cell phone number private when making business calls. 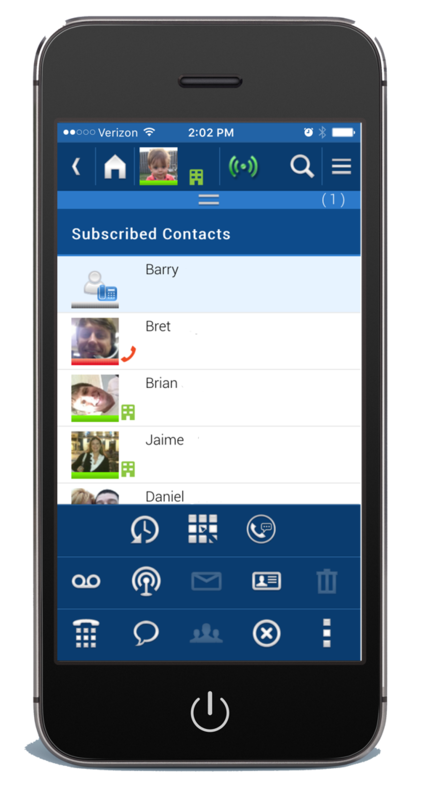 Instant message-including broadcast and group chat features- with other Call Manager and Call Manager mobile users. User presence- indicates when a user is busy, idle, on a call, or away from their desk. Find-Me Follow-Me application- enables calls to “find” you when you are out of the office by forwarding the call to your smartphone. 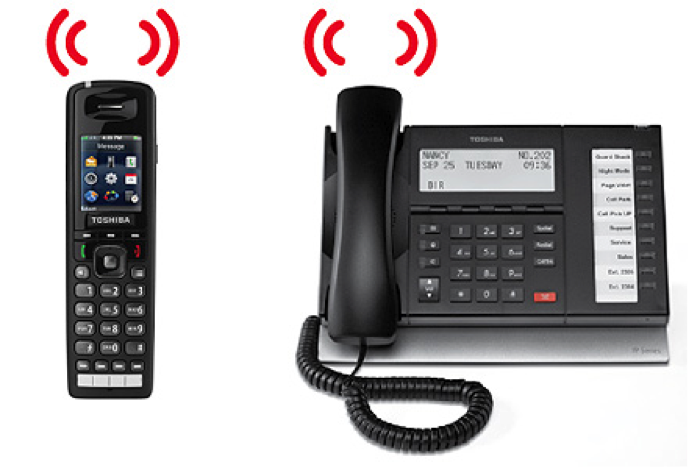 Toshiba’s Personal Call Handler feature delivers “twinning” capability so your office phone and cellular device ring simultaneously to ensure you never miss an important call. Calls can be answered by either device and can be switched between devices during the call. Toshiba’s Personal Call Handler provides additional call handling choices including caller-based handling, scheduled-based handling, and simultaneous and sequential ring options. Secure cordless devices over your WiFi connection. 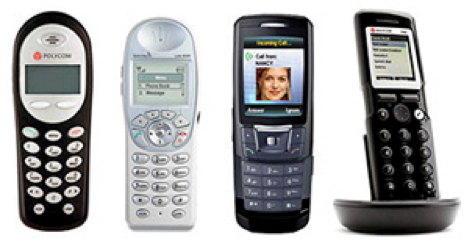 For wider-coverage cordless solutions, SpectraLink® offers a complete portfolio of wireless phones for your workplace. Toshiba cordless telephones give you the ability to take advanced desk phone functionality down the hall, into the conference room, or across campus. You can even switch between your cordless and digital desk telephones during a call. DECT and narrow band technology safeguard your phone’s frequency range and deliver maximum security. SpectraLink Telephones are fully integrated with Toshiba business phone systems and operate within your facility’s micro-cellular architecture or over your WLAN. The WLAN allows you to leverage your existing investment by converging voice and data applications on the same wireless network. Toshiba telephone system computer-based application allows your to manage telephone calls, voice mail, Web, email and more all from a single screen, using only your mouse! Call Manager gives you the ability to dial, answer, transfer calls and more, using your mouse without picking up the phone. 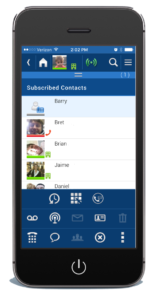 Call Manager can be used with an IP or digital business telephone for desktop call control. Additionally, it can also be used as a stand-alone IP soft phone that provides mobile and remote access, and synchronizes with company operations, CRM, or contact software. NEW! 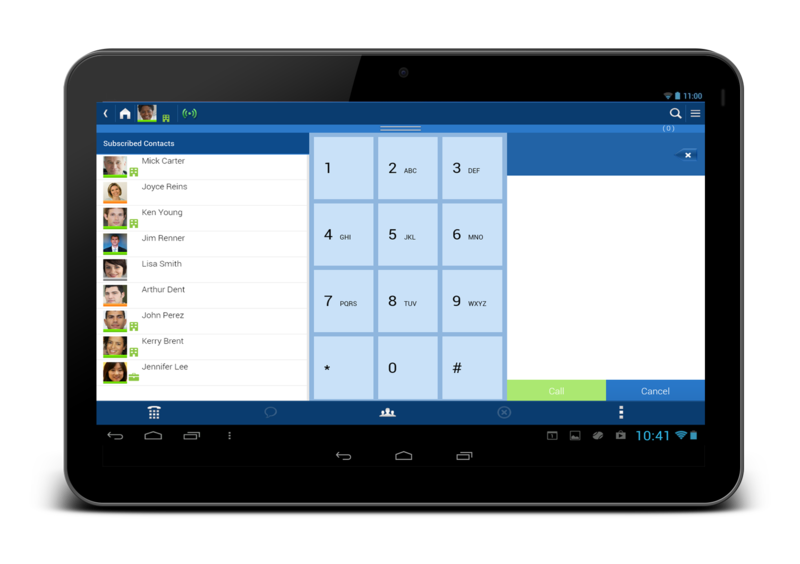 Call Manager Mobile Application is now available for smartphones. Contact us today to learn how unified communications and enterprise mobile applications can enhance your business and connect your employees.